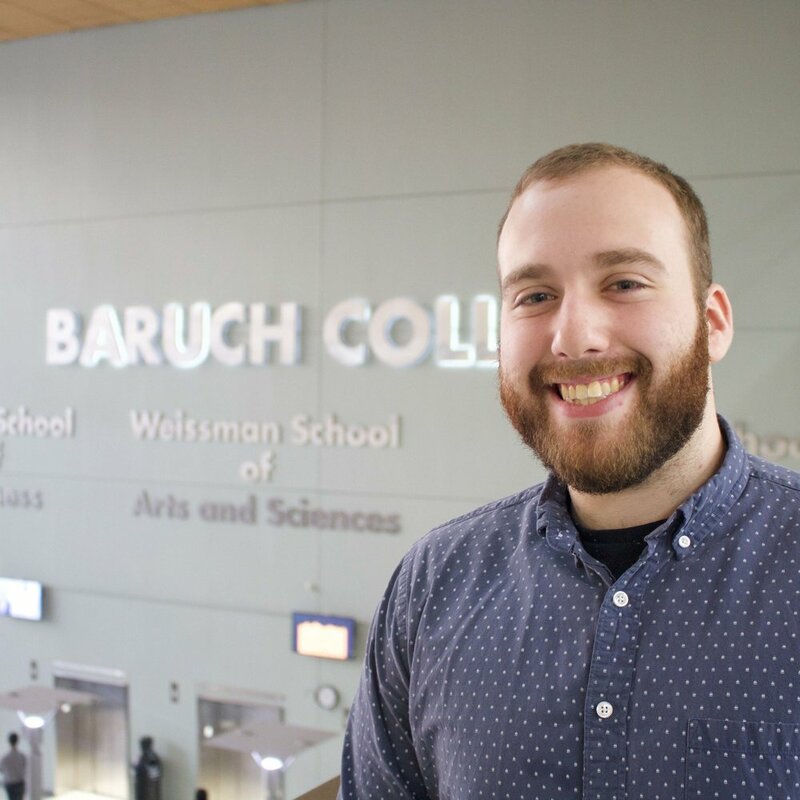 Two parties are battling for students’ votes this year to be the next representatives of Baruch College’s Undergraduate Student Government. The Ticker spoke to the e-boards of both POP! and Imagine Baruch to better understand their goals, platforms and leaders. Read on to learn more about what each platform has to offer. Text by Sheik Floradewan, Noah Fleischman, Angel Torres and Andrew Marzullo. Additional reporting by Amanda Salazar and Victoria Merlino. Photos by Julian Tineo and Noah Fleischman. 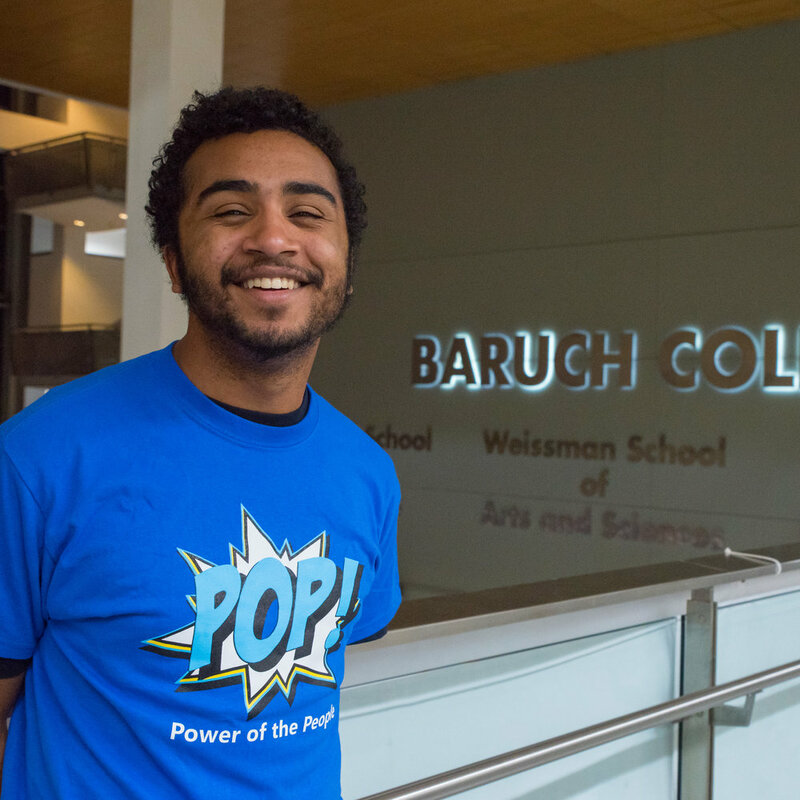 POP!, which stands for “Power of the People!” is one of the two major parties running for the 2019-2020 Undergraduate Student Government of Baruch College. The party will be led by current sophomore Dakshatha Daggala, junior Joshua Castillo, junior Tam Phuong and junior Nicole Pung, who are running for president, executive vice president, treasurer and secretary of USG, respectively. They explained that their methodology in choosing to run together came about by figuring out who was good at what. While Daggala, Castillo and Pung are all members of the current USG senate table, they have been bouncing ideas off of one another and found a good fit with their prospective board. As for Phuong, who is the current president of the Vietnamese Student Association, he was approached by Daggala because of his immaculate skills with numbers and paperwork. “There is definitely more than one team running and that made me a little bit happy. That made me like realize we’re finally getting there. We’re getting our name out there,” Pung said. With POP! being part of the current table, the team hopes to pull from past failures and make sure to not repeat them going forward. POP! members hope to implement “more town halls, widespread suggestion boxes, polls for public opinion and transparency regarding progress on various projects on campus,” as stated on the POP! platform. The team also hopes to bridge the gap that exists between students and their respective senators. They plan on implementing this by requiring the executive secretary to have senate meeting agendas posted on the USG website and social media. In addition, they would have a platform for students to submit statements they would like the table to discuss at the senate meetings. By doing so, they would ensure a more cohesive student body. Besides focusing on student body engagement, the team also plans on having the senate members be civically involved in CUNY politics at a state level. The current vice president of Legislative Affairs takes an active role in advocating and lobbying for CUNY, while some of the other table members are at varying levels of knowing what the Board of Trustees is and how it works and knowing what the University Student Senate is. “Civic engagement is really important to us, especially because we’re in a public school. This isn’t Stephen’s, this isn’t, you know, private, this is a public school and a lot of our quality of life depends on, you know, people lobbying and advocating for you,” Castillo said. “The actual full-time faculty has … remained relatively stagnant, but adjunct professors have increased over the last five years or so, and I think that that’s the most obvious one. But our legislative affairs VP is very well-versed on the issues, and I think that they have good judgment on what to focus on,” Castillo said. When asked about POP!’s stance regarding Greek Life on campus — a challenging internal policy and procedural issue that was controversial two years ago — the team seemed neutral. With Provost David Christy stepping down, his moratorium that is in effect until June 2021 may or may not change going forward. “I don’t speak for them. I speak for myself. I personally have not given it any thought or they’re not to bring this issue back up,” Pung said. Despite any controversies, POP!’s goal is to essentially allow students to recognize their power and empower them and the Baruch community to enact change for the better. With the Undergraduate Student Government elections right around the corner, the candidates vying for a seat at the USG table are starting to come into the limelight to define their platforms and gain followings. Besides a few independent candidates, there are two major parties running in 2019’s election: Imagine Baruch and POP!. Imagine Baruch describes itself as a party that prides itself on its diversity and is running on its three core values of pride, opportunity and transparency. Imagine Baruch wants to work on the overall involvement of students to promote the value of Baruch pride. The party understands that Baruch is a commuter school, which makes social aspects difficult. “Imagine Baruch would work hard to give students more reasons to stay on campus and meet new people through having more school wide events,” states their website. To promote their value of opportunity, they want to improve the overall quality of and access to resources. One goal of the party is to better utilize career fairs by creating specialized career fairs that would reduce the current congestion students go through. In doing this, they would provide major-specific fairs that would have students networking instead of standing on lines. When asked about how they would overhaul career fairs, junior Larry Likhtenstein, candidate for executive vice president, said, “We’d have one investment making fair, one marketing fair, one even for journalism. He continued, “The whole point was that we would try to reach out and have more specialized careers. “First of all, it gives students the feeling that they actually accomplish something by going to these fairs. Because if I don’t have finance student, I’m not going to go to a political science fair. It doesn’t affect me. Likhtenstein continued by saying, “Sometimes you just get stuck in these lines and you can’t do anything because they’re so packed. The whole point about having these specialized career fairs is that it gives us every student who is studying everything, not just business, not just fine, and your marketing. “Every student in this whole school, the ability to actually feel like the career for you, it means something to them and they’d want to go and not just be like, oh, whatever,” he finished. In addition to pride, they want to improve the overall transparency of what happens in Baruch for students. “Right now, we feel like students really don’t know what’s going around with our government, with the school, events and things of that sort,” said presidential candidate Jeremy Berman in an interview with The Ticker. The party believes that the solution to this is the creation of an app that would be all things Baruch, including news about student life, student government and be a one-stop shop for all students. In addition, they want to make USG more accessible to students. To do this they would livestream senate meetings for students who cannot attend them, re-implement the suggestion box and ensure that USG is a welcoming environment to all. The creation of a Baruch app or updating the current one is pivotal to their party’s goals. “We actually want the students to have a real say. So in as many things as we’re able to allow the students to have a say and we will have polls regarding a host of different topics,” Berman said. The process in which they selected their party members was by prioritizing its diversity. Their aim was to have students from all walks of life providing their own ideas and perspectives. “And so, a big thing that we were doing is that at first, we would look for student leaders involved on campus because at the end of the day they’re usually the ones very passionate,” Likhtenstein said in a Ticker interview. So far, they reportedly have over 30 clubs represented in their party. The party formed when Berman expressed that he wanted to solve the issues faced by Baruch students. Likhtenstein expressed similar beliefs and this was the start of Imagine Baruch. Next, they looked for passionate student leaders who would represent the entire student population and defend and help them. They want people to really care about their work because it is for the entirety of the school. The party feels many of the USG resignations over the past few years have been due to the members of the party picking their friends rather than the most dedicated students. “I think that for resignations, I think the reason that they occurred — there’s lot of times when you make a team and you’re just like, ask your friends. ‘Oh, you’re going to do this.’ ‘Yeah, sure.’ People don’t understand how much work it actually is. I think that to get it, the only way to ensure less resignations, is to get a really passionate team that will actually care. I think that’s what we’ve accomplished. I think that we have a team that understands that it is a lot of work … you have to put in the time,” said Likhtenstein. Q: When can I vote in the Undergraduate Student Government election? A: Students can vote for their candidates on three days: Tuesday, April 16 to Thursday, April 18. Q: When do students find out who won the election? A: After the voting booths close, members of the Office of Student Life will take the ballots into their office for counting. At that point, members of each party, individual candidates and students can wait for OSL to count the votes behind closed doors and announce the results on the second-floor lobby. Q: Is it possible for members of both parties to win the election? A: Yes. Students have the choice but are not required to vote for an entire party. This means that a president of one party may end up working with the party he or she was running against. The same rules apply for other members of each party. Q: When can candidates begin campaigning? A: According to OSL rules, parties and individual candidates were able to begin campaigning on March 28. Q: How can I find out more information about each candidate? A: Since candidates are now allowed to campaign, they can be found around campus and on social media. Students will also be able to attend a debate where high-ranking candidates will face off. The debate is scheduled to take place on April 15 and is open to all students. Questions can either be asked via an online form or at the debate. This article has been updated to reflect more accurate quotations from Lawrence Likhtenstein.